Delta is the symbol for "change." 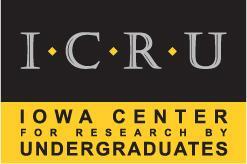 The DeLTA (Development and Learning from Theory to Application) Center is an interdisciplinary research community at the University of Iowa dedicated to exploring the processes of learning and development by promoting interactions between basic and applied researchers, training the next generation of collaborative scientists, and actively engaging with community partners. There are no upcoming events at this time. To view past events, visit the Archived Events page. The call for posters is now open for the DeLTA Center-College of Education first annual poster day! The poster session will be held on Friday, February 9th, 2018 from 9-11am in North Lindquist. Click for more information. NOTICE: The State University of Iowa Foundation is a 501(c)(3) tax-exempt organization soliciting tax-deductible private contributions for the benefit of The University of Iowa. Please review its full disclosure statement http://www.uifoundation.org/about/disclosures/.